« Is Google in panic mode? Today Microsoft pulled one out of the bag. Something that has long been predicted but never executed upon. They have announced a Tablet PC named “Surface” and will release it later this year in time for Windows 8. Microsoft have been talking about slate or tablet PC’s for years now, and to be honest had more intent around tablet computing than Apple ever did. On more than one occasion in the early part of the 2000’s Steve Jobs was quoted to say that Apple had no interest in Tablet computing especially given the Newton was a flop. 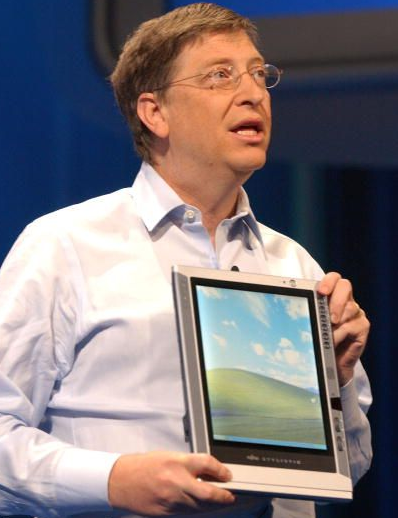 Microsoft on the other hand dabbled with pen based computing in Windows XP and improved on the technology over time although it remained an after thought. It wasn’t until Windows 8 came along that Microsoft became touch focused. The Windows 8 interface (Metro) is built on the strengths of Windows Phone 7 and created an entirely different way of interacting with the Windows operating system and its apps. Personally I like the Metro interface and so it would seem do other people. Recently I have noticed more and more interfaces seem to “fall in line” with the Metro mantra… clean sharp lines with a minimalist approach to delivering information. Hey even the recently refreshed Gmail interface lends itself to a metro-esque experience! Having recently installed Windows 8 (both server and client) Release Preview the Metro experience permeates through to every aspect of the operating system, from the installation to the device management. Metro is more than an interface for touch computing its a sharper, smarter way of doing things. This sharpness will deliver a better user experience in my opinion, removing noise from day-to-day tasks, giving users a more focused interface to work with. This sharpness has been carried through to the Surface tablet released today, with sharp lines it delivers on Microsoft’s vision of the future. If the edgy new TV spot by Microsoft is anything to go by… I am looking forward to it! This entry was posted on June 19, 2012, 5:16 pm and is filed under Hardware, Microsoft. You can follow any responses to this entry through RSS 2.0. Responses are currently closed, but you can trackback from your own site.